Not all websites are created equal. That definitely rings true in the case of a new website Team WindFarm designed on HubSpot for our client Chicago Athletic Clubs, a sleek regional health club with 8 locations in the Greater Chicago area. What makes this site so unique and powerful? 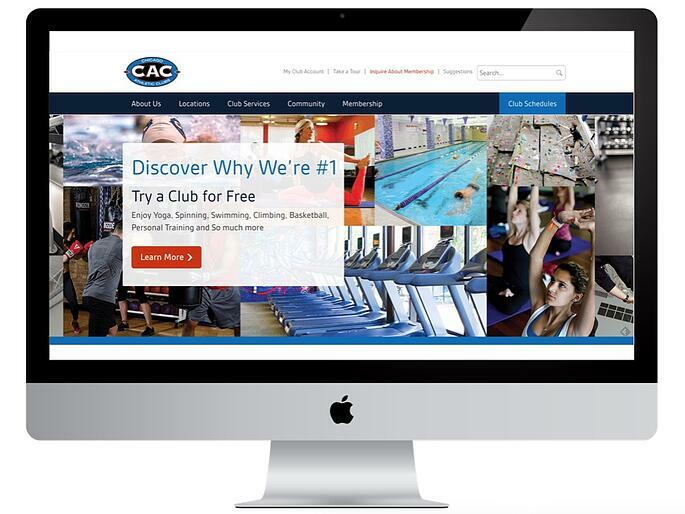 Chicago Athletic Clubs came to WindFarm for a website that would set them apart from the competition and that they could rely on to drive conversions that fuel their business. 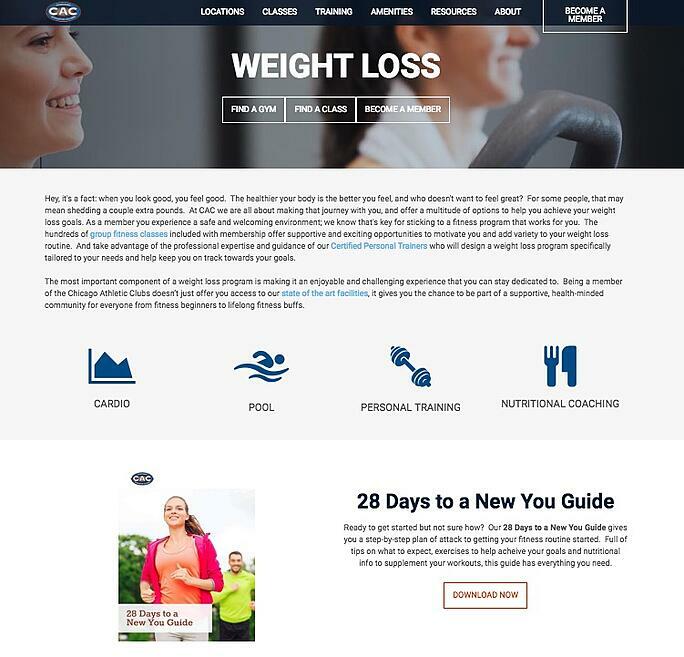 Like many other health clubs today, their previous website was not converting their social media followers and website traffic into marketing qualified leads as successfully as they knew it could be. The solution? The brand's marketing team wanted a website that would help them reach and engage modern consumers. The brand recognized a shift in the way people prefer to engage with a gym and in how they decide to become a member, and wanted a website that was designed so that prospects and members would be attracted to it instead of frustrated by it. The purpose of the site was to become the “home” or centerpiece of their inbound marketing strategy and was designed as part of a larger platform to generate high levels of traffic, leads, sales, and loyalty for years to come. The site is built on and directly integrated with HubSpot, the same platform that will be used to power the brand’s marketing database, social outreach, blog, SEO, email, automation, and overall content marketing efforts. At first glance, you’ll notice how clean and evenly spaced the site layout is. WindFarm designed it that way on purpose and was careful to remove all the clutter and “noise” that normally gets in the way of a person being able to scroll on a mobile phone and find what they are looking for. This creates a pleasant experience for the user and allows them to easily interact and engage with the content that’s most meaningful to them. The website is also responsive to any device and that alone has made quite an impact on conversions. You’ll also notice a special section on their homepage just below the top module asking visitors, “What are your goals?.” The strategy behind this is to quickly identify the main fitness goal of each visitor and to engage them with the content and resources that match their specific goal. Because not every visitor is the same, nor do they all have the same fitness goal or motivation, it was important to Chicago Athletic Clubs to build a site that engages people where they are at in their specific fitness journey. By offering each visitor the resources right up front to help move them forward on their goal, it should increase their desire to get healthy and join their gym. Each one is designed to not only attract and segment their audience but to convert them into a marketing qualified lead once they download one of the premium content pieces toward the bottom of the page that support their goal. Upon downloading the guides, visitors can opt-in to receive relevant and informative emails (and offers) that align with their goal, allowing the brand to continue engaging, building trust and interest. 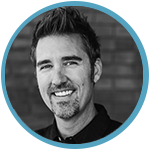 The persona goal pages are not only designed to be helpful for prospects but members too! It was a design priority to keep Chicago Athletic Clubs from missing out on the opportunity to engage these prospects who are higher in the funnel (interested but not ready “join now”). WindFarm developed a Resources section of their site that includes the blog and a premium content library full of posts, downloadable ebooks, checklists, workout plans, and guides for specific personas at the early stage of the buyer’s journey. These resource downloads are the secret behind allowing the brand to convert passive website visitors into identifiable prospects (marketing qualified leads). Once a lead, they will be nurtured via automated email workflows into becoming sales qualified leads to pass on to their sales team. It's frustrating for visitors who are looking to join a gym with multiple locations and not easily be able to use the website to find the location nearest them. 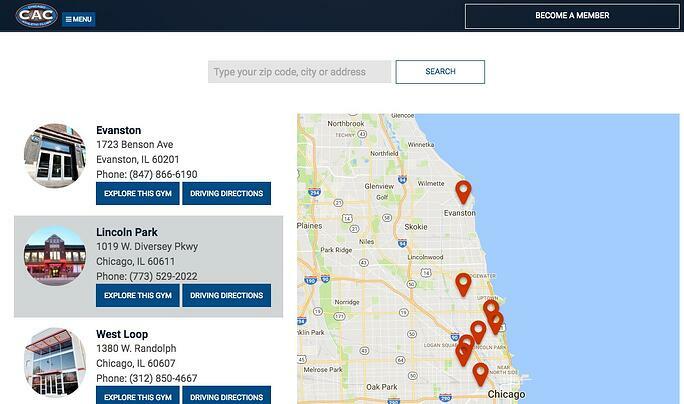 The site's design included a zip code location finder to eliminate that frustration and make it drop dead simple. 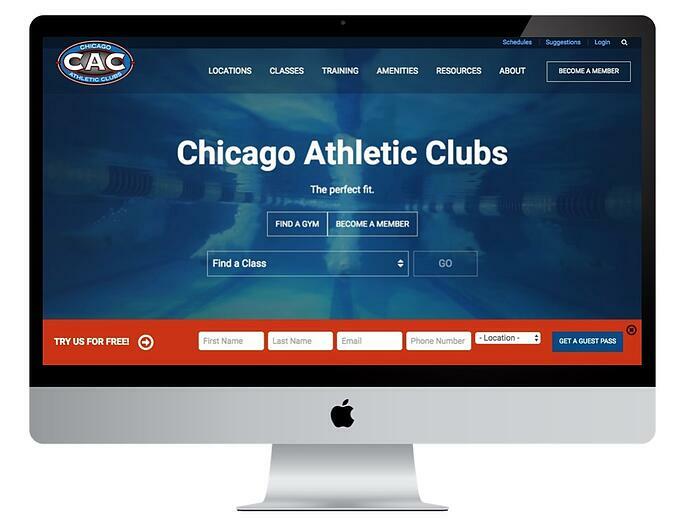 The previous site for Chicago Athletic Clubs had under 5 landing pages designed to convert someone into a lead, mainly one, their "Membership Information Request" landing page. Now with multiple CTA modules sprinkled across the site and with the new premium content resource library they now have over 10 landing pages designed to convert a visitor into a lead and plan to continue adding more over time.